With Android 4.4, Google has been attempting to lower hardware requirements and eliminate the need for using older Android versions on low end devices. 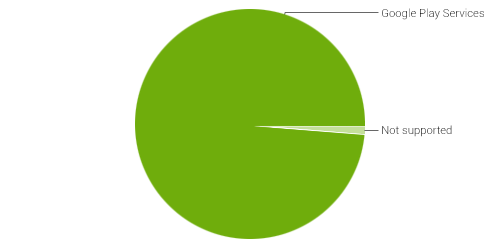 Interestingly, Android 4.4 also ships without the AOSP browser app. Let's take a look at Google's motivations for this move. Over the last couple of years, Google has focused on building their own proprietary apps to replace major parts of AOSP. Google's ability to directly update proprietary apps and the Google Play Services Framework eases the fragmentation problem for developers. VisionMobile has an in-depth explanation of Google's motivations. Google's move to exclude the browser app from AOSP may have an even deeper impact. By excluding the AOSP browser, Google forces OEMs to build their own browser app or license Chrome from Google (bundled with all other Google apps). Major OEMs like Samsung are already Google licensees, so this move is unlikely to affect them. OEMs like Amazon already maintain their own browsers and the lack of an AOSP browser will just be a minor inconvenience. 1. Expands Reach of Services: It increases the potential reach of Google services among lower market tiers. 2. Quality Control: It forces low-end vendors to pass Android certification to get access to Google apps. This is an indirect way of ensuring quality control for low-end Android hardware. While low-end device vendors have been improving rapidly and challenging upmarket OEMs, Google hopes to accelerate this trend and improve the price/quality dynamic. This would result in increased smartphone/tablet usage and indirectly increase the usage of Google services.